This work was inspired by the remnants of the most famous and extensive collection of artifacts, mostly natural, in 16th c. Europe. They were amassed by Ulisse Aldrovandi (1522-1605), the first professor of natural history ever appointed in Italy, at the University of Bologna. A tiny fraction of Aldrovandi’s 18,000 items are still on display in today’s Aldrovandi Museum at the University of Bologna, but a few of the strangest pieces caused the artist to investigate the collection. 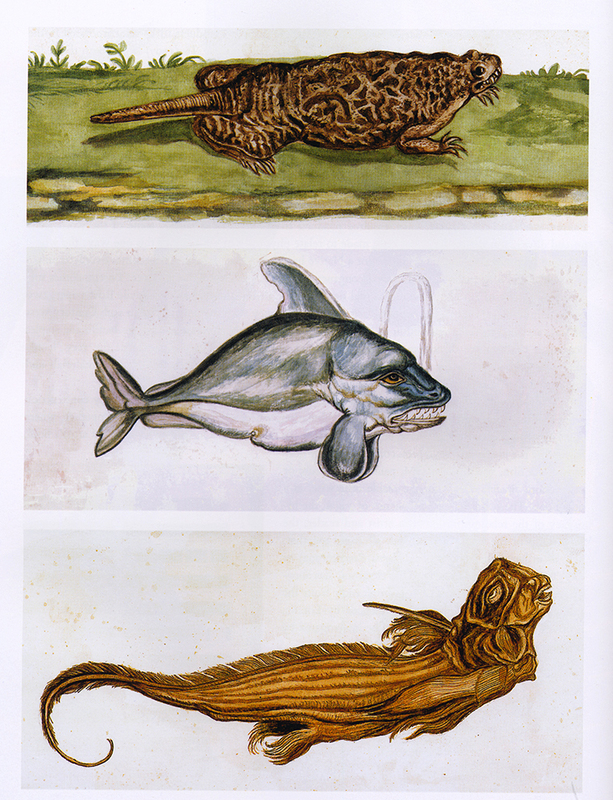 Oddities, such as a frog with a lizard’s tail plastered on and fishes’ teeth inserted into the frog’s mouth, led to research that included not just Aldrovandi and his thousands of tempera paintings but the History of Museums in general. What was originally going to be a work about the fakes created for museums and natural history collections gave way to the broader topic of museology from Hellenistic Greece to the Enlightenment. The series of seven books, plus two copies lettered A and B, form an edition with unique variants, as each copy has nine original watercolors of completely different subjects commissioned either by Aldrovandi or by Manfredo Settala (1600-1680) for their collections of curiosities. Settala’s museum was in Milan, but his manuscripts are housed today in the Biblioteca Estense of Modena, not far from Bologna. The research, both iconographic and textual, was boiled down to a 900-word rhyming poem that accompanies the watercolor illustrations. These are hidden from view, however, when the book is placed upright and its double concertina fold extended outward. In this position, only the 11 copper-plate etchings are visible, as a wunderkammer or theater of nature, receding into the distance. The etchings, hand-drawn by the artist, are based on the earliest images of museums in Europe. They recreate prints commissioned by founders of collections of curiosities to represent the museums visually at the front of a published catalog. The first two etchings are visible through the front cover when the book is closed, as the cover was die-cut to resemble the display cabinet in the left-hand etching. 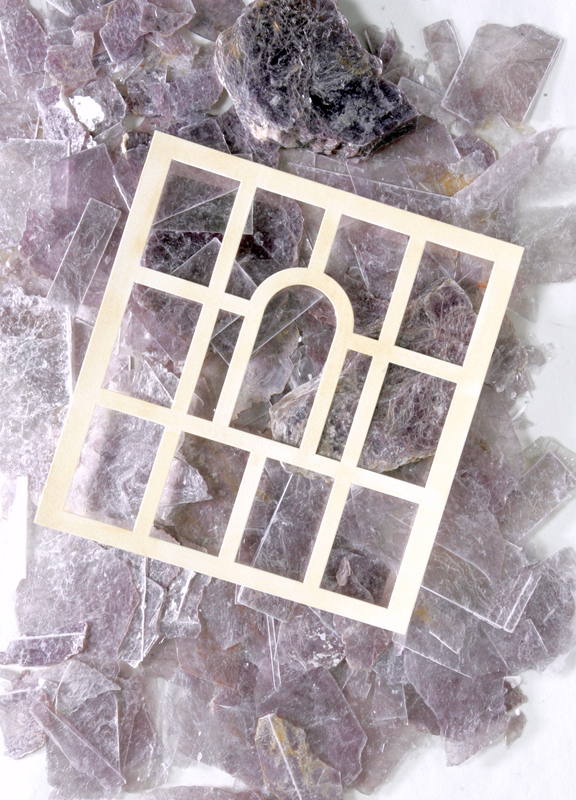 In place of glass, the artist split, cut and glued into the cover, sheets of lepidolite, a purple mineral of the mica family. 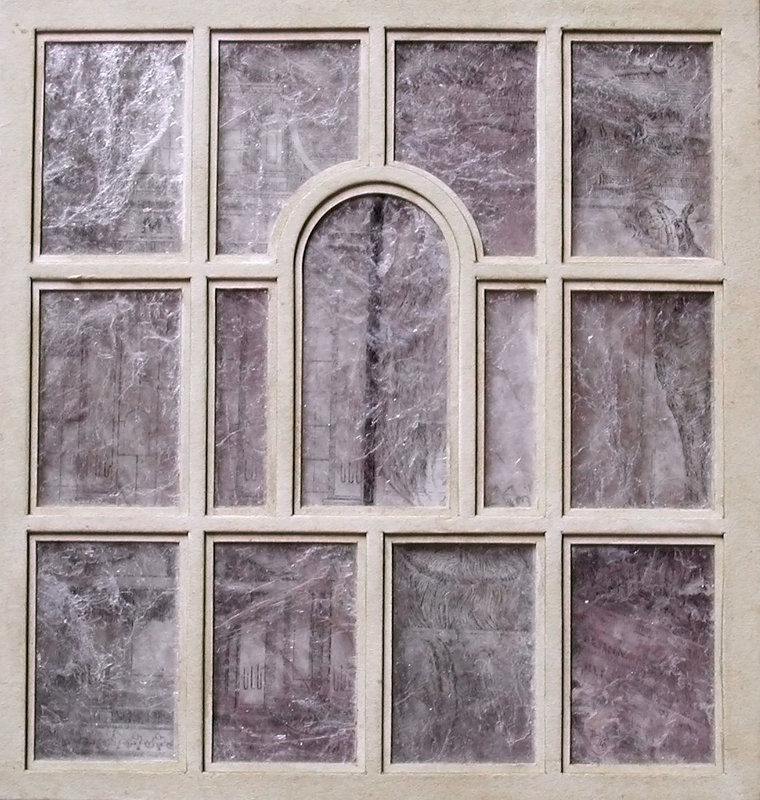 Not only does the lepidolite create the idea of a cabinet, but it also reflects light as did the mirrors often incorporated into museums of curiosities. 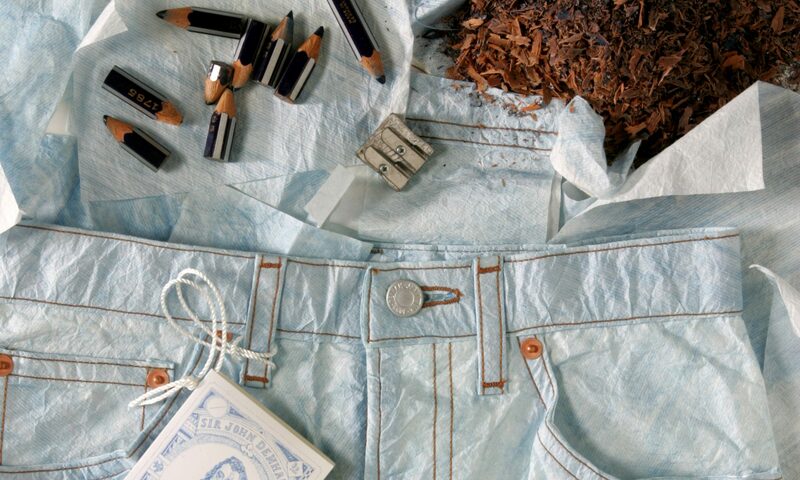 And while asbestos, a common item in these early collections (from which even museum souvenirs were made), is now known to be toxic, mica is not, yet magically resists heat as well. More importantly, the book needed to contain examples of the animal, vegetable and mineral world. The front cover sports the mineral, and the back and spine represents the animal with a vellum binding. The vegetable world is more subtle. The etching paper is composed of cotton rag; however, it was dyed in boiling calendula flowers before the etchings were printed. In this way, not just a plant is represented but one with medicinal value, known as a “simple”. But a further element need to be included, also from the mineral world, one that inspired wonder: the magnet. The book closes with magnets sewn into two leather straps, similar to ethnographic amulet cases, which automatically adhere to magnets inserted in the back cover when closing the book. The stitching of the straps forms the letter “u”, for Ulisse Aldrovandi, the wandering naturalist. Text printed without electricity using moveable type in Centaur (a mythical beast) at Stamperia Valdonega of Verona on acid-free paper produced by Cartiere Fedrigoni. Etchings printed with the help of Manuela Candini at the Laboratorio di Sperimentazioni Grafiche Leoni-Whitman, in Bologna, a stone’s throw from Aldrovandi’s Collection. Assistance with calendula dyeing, printing and mica cutting provided by Kate Erb. as part of human pride. and the cabinets opened wide. with a dwarf to guide us. were to dazzle the eyes. also offered more than chimes. which they did not sell. was not what it was. by the sleight of wrist. based on wall, ceiling and floor.